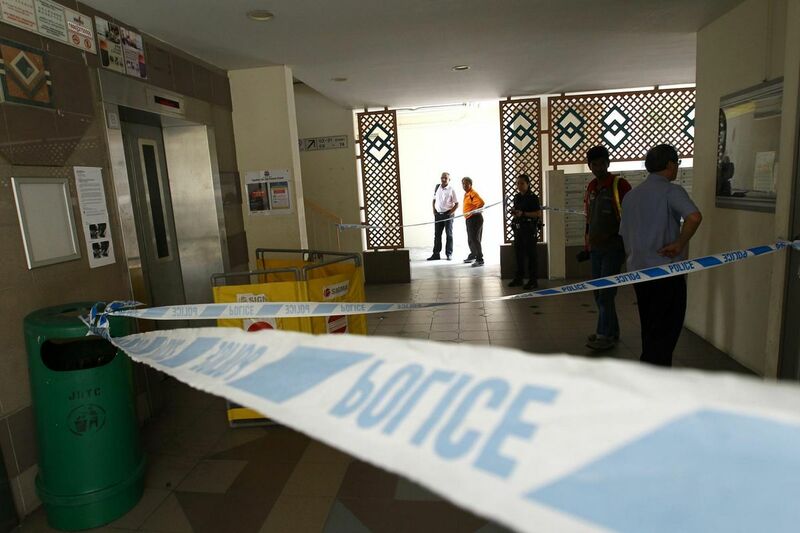 SINGAPORE - A 77-year-old man died after an incident in a lift at Block 247, Pasir Ris Street 21 today (May 16). 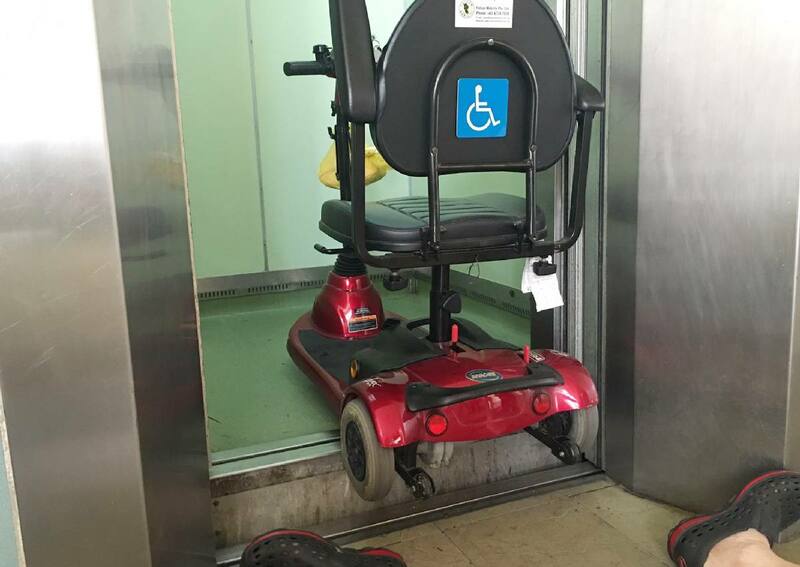 According to Channel NewsAsia, Mr Lim Hang Chiang had entered the lift on a motorised wheelchair on Sunday (May 15) morning. 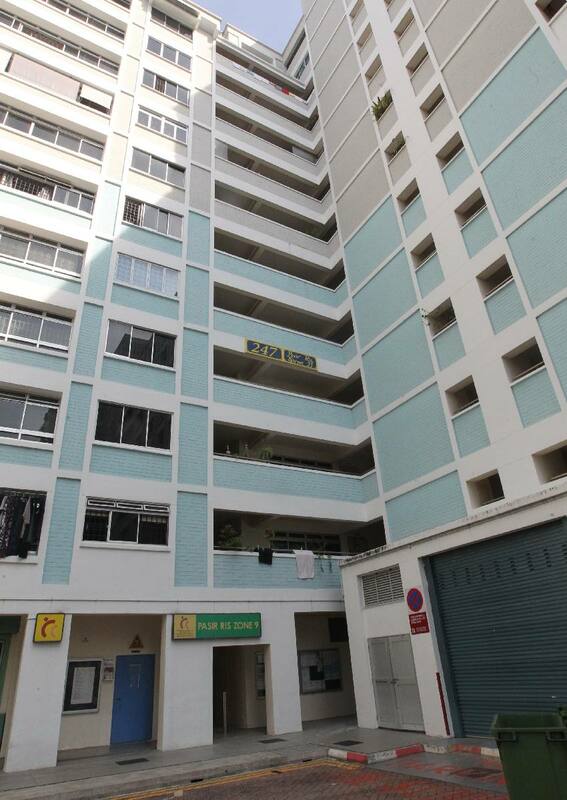 Two neighbours had also entered the lift with the elderly man. 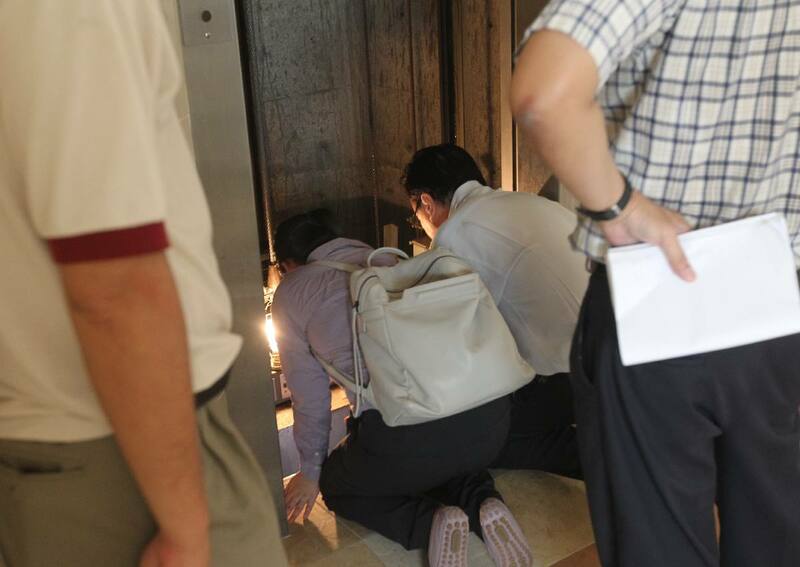 Mr Lim Keng Swee, 45, the youngest son of the deceased man, was reported as saying that the lift had stopped 25 centimetres above ground, creating a gap. 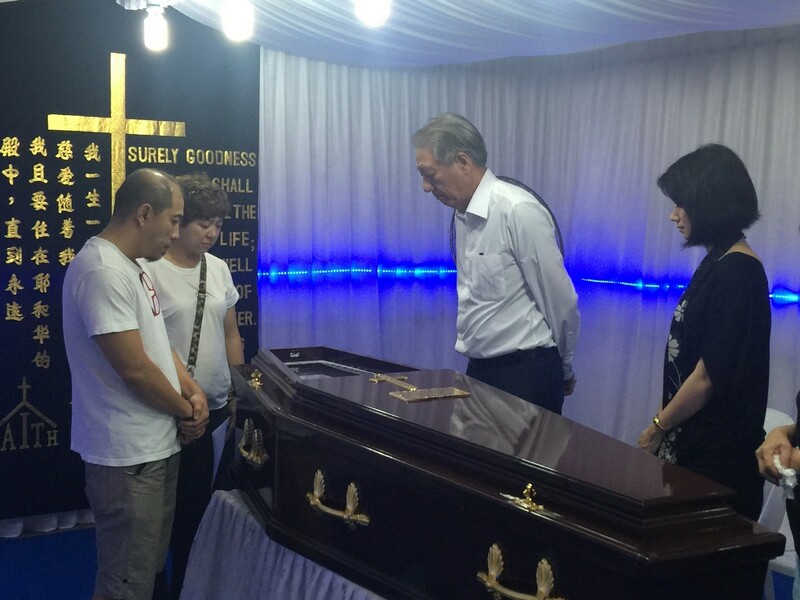 Deputy Prime Minister Teo Chee Hean and Pasir Ris-Punggol GRC MP Sun Xueling at the wake of Mr Lim Hang Chiang, who died on 16 May 2016 after a lift accident, at about 4.30pm on 17 May 2016. With them are Mr Lim’s older son Eric and daughter Amerly. 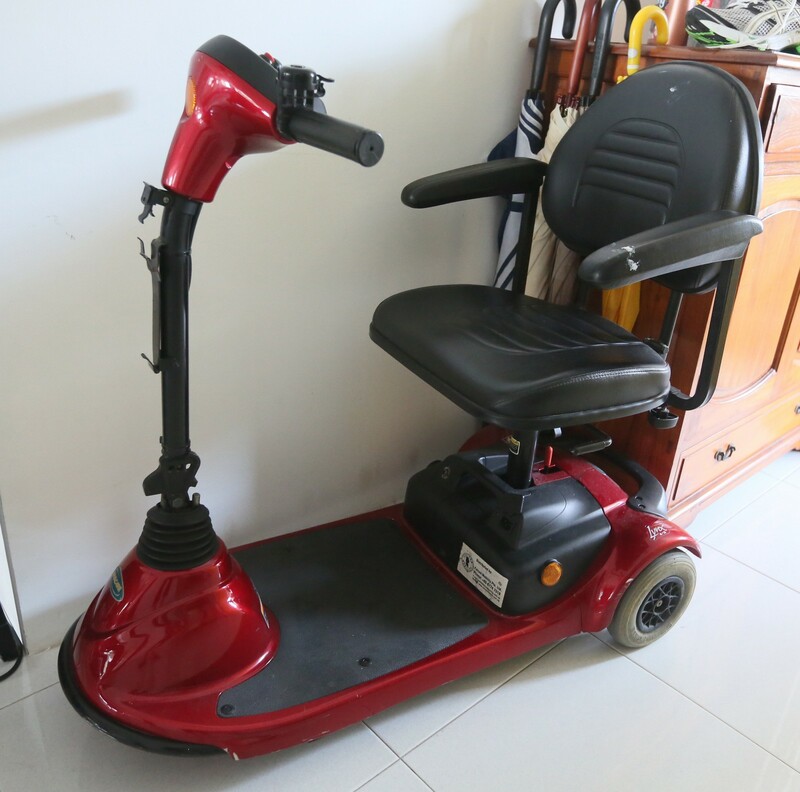 Mr Lim Hang Chiang had entered the lift on a motorised wheelchair on Sunday (May 15) morning. Two neighbours had also entered the lift with the elderly man. 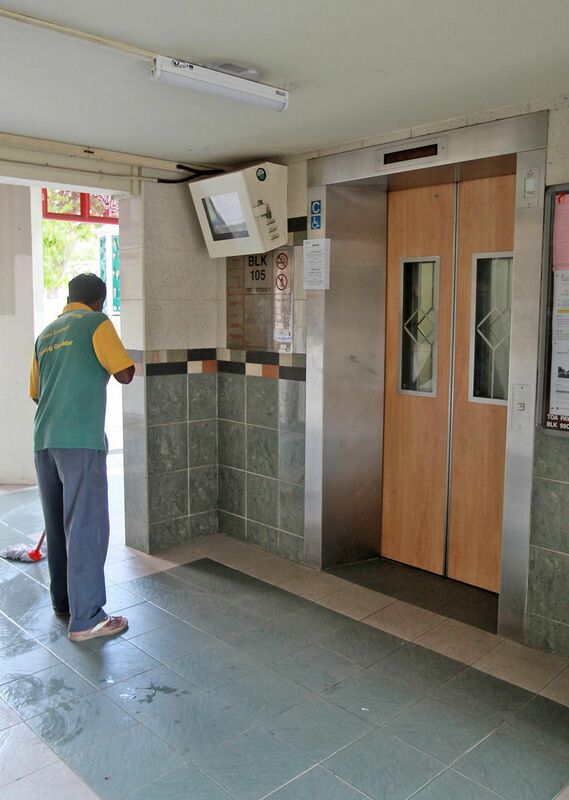 The incident had occurred when the elder Mr Lim had reversed backwards while exiting the lift, causing him to fall. "The whole vehicle toppled and my dad fell backwards and hit his head. 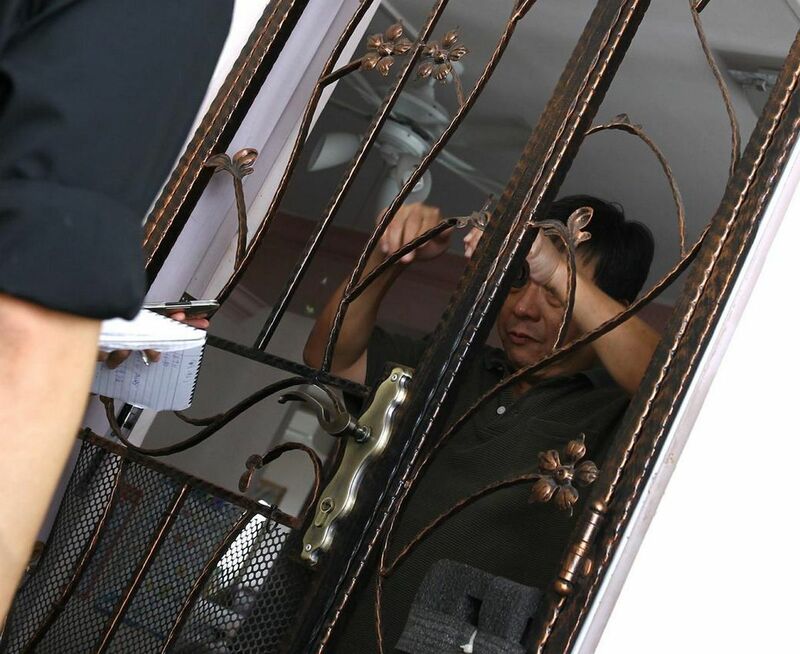 He fell head down, so he suffered a skull fracture and internal bleeding in the brain," Mr Lim (pictured) was quoted as saying. The elder Mr Lim's wife. His father's condition subsequently worsened and he died at 2.14am on Monday. According to his son, the elder Mr Lim would have turned 78 on May 20. This is not the first lift accident. 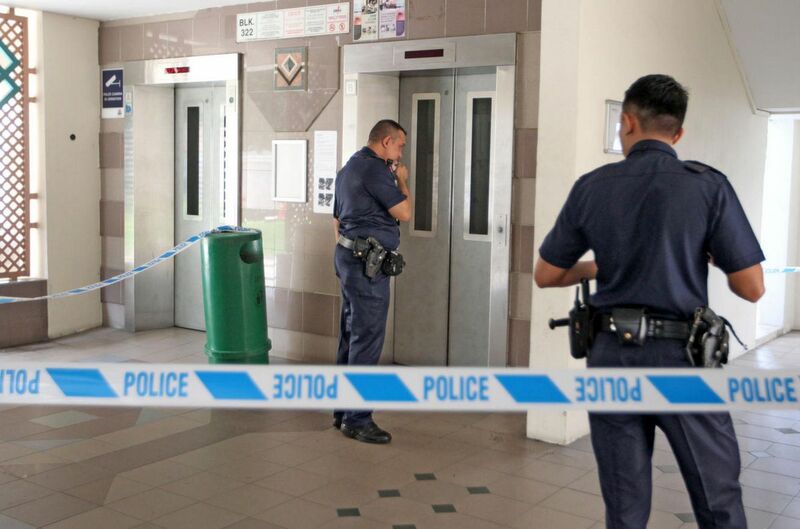 On Mar 7, 2016, an Indonesian maid had the fright of her life inside a lift in Ang Mo Kio when it went out of control and shot up 17 floors suddenly. 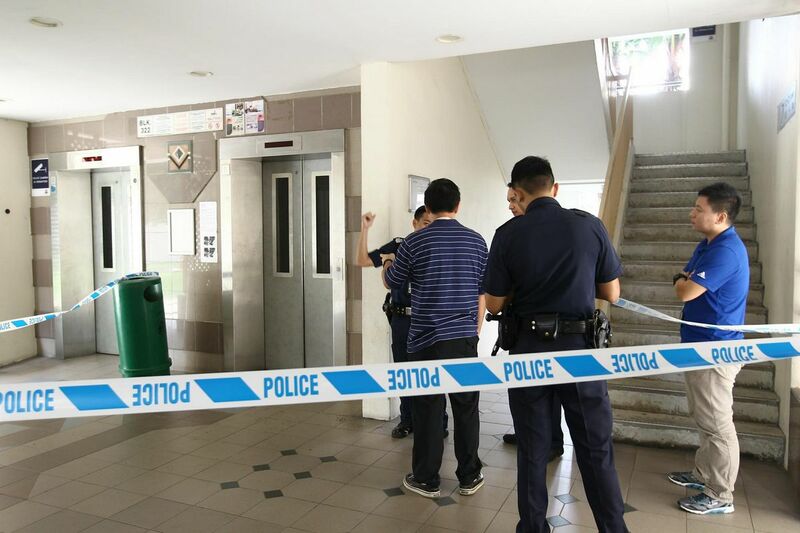 Ms Evi, 36, entered the lift on the fifth storey at Block 317 in Ang Mo Kio Street 31 at about 7.15pm as she had to pick up her employer's two children. When the elevator reached the ground floor, it opened its doors but only partially. Then they closed back. 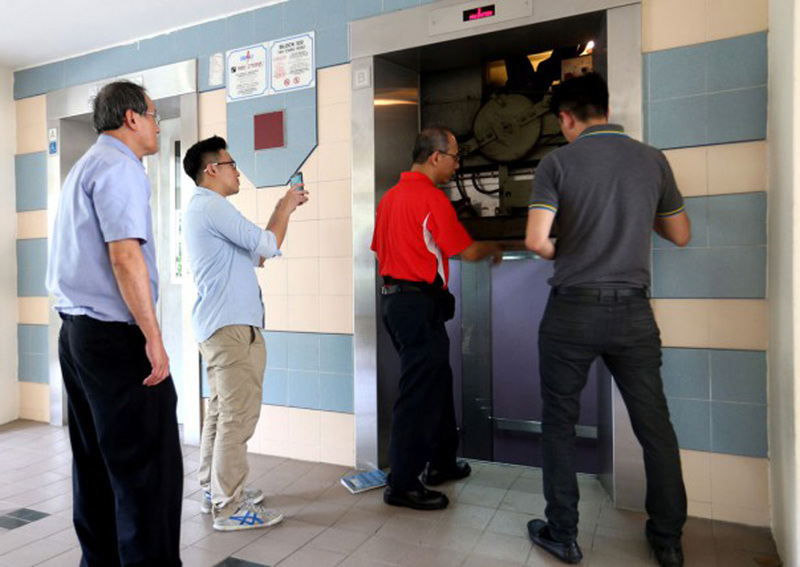 On oct 9, 2015, an elderly woman's hand was severed by HDB lift doors. 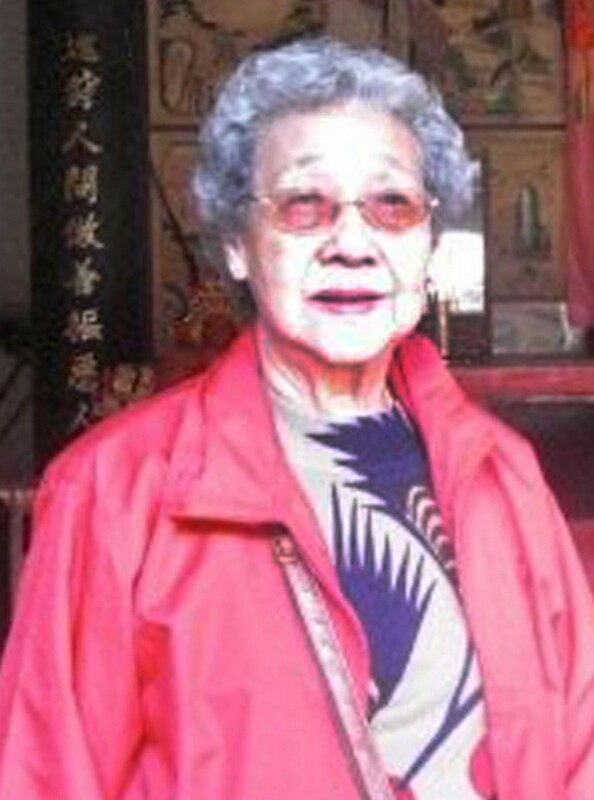 Madam Khoo, 85, also broke her left leg when she fell inside the lift, which happened at Block 322 Tah Ching Road. 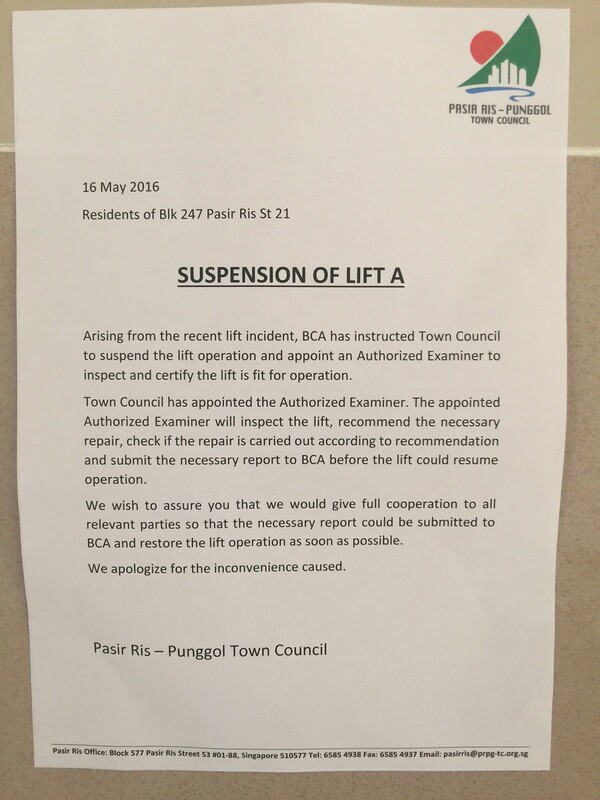 A notice was put up on the suspension of lift operation at Block 247, Pasir Ris Street 21. "The whole vehicle toppled and my dad fell backwards and hit his head. 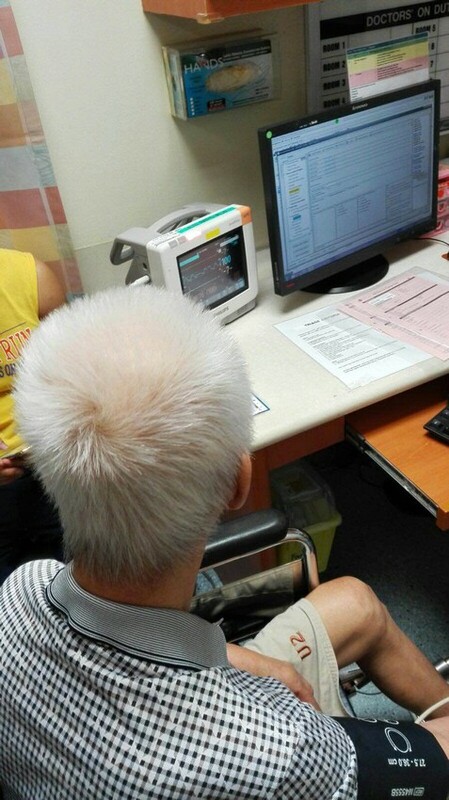 He fell head down, so he suffered a skull fracture and internal bleeding in the brain," Mr Lim was quoted as saying. 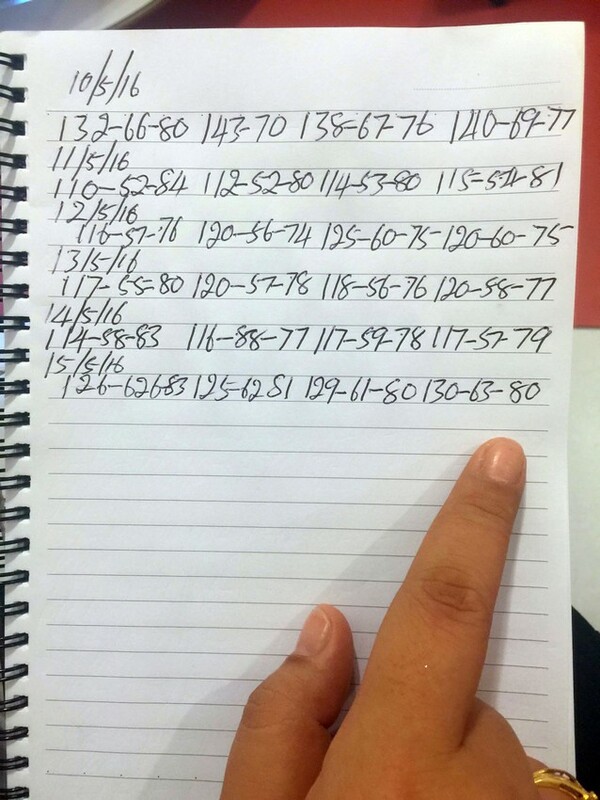 He also added that his brother had brought their father to Changi General Hospital, and that after "an X-Ray and two CT scans, [the doctors] determined his brain was bleeding quite heavily". 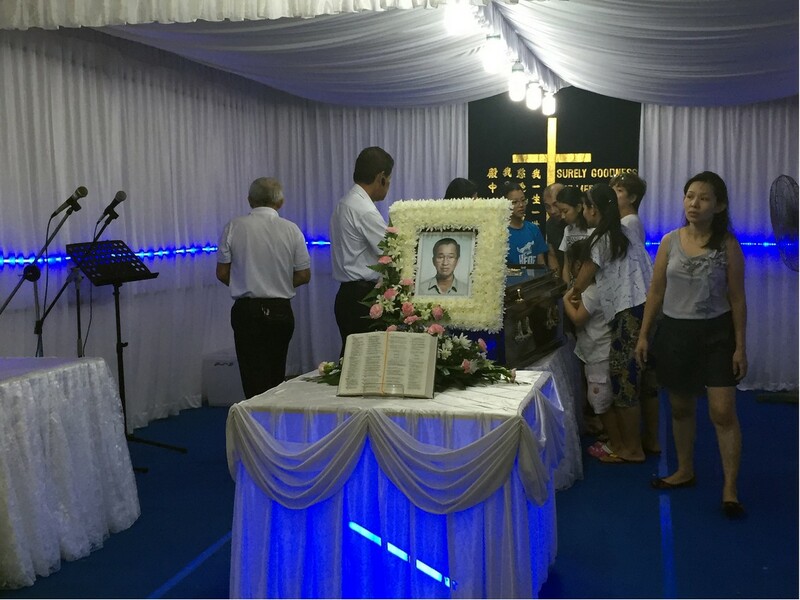 His father's condition subsequently worsened and he died at 2.14am on Monday. 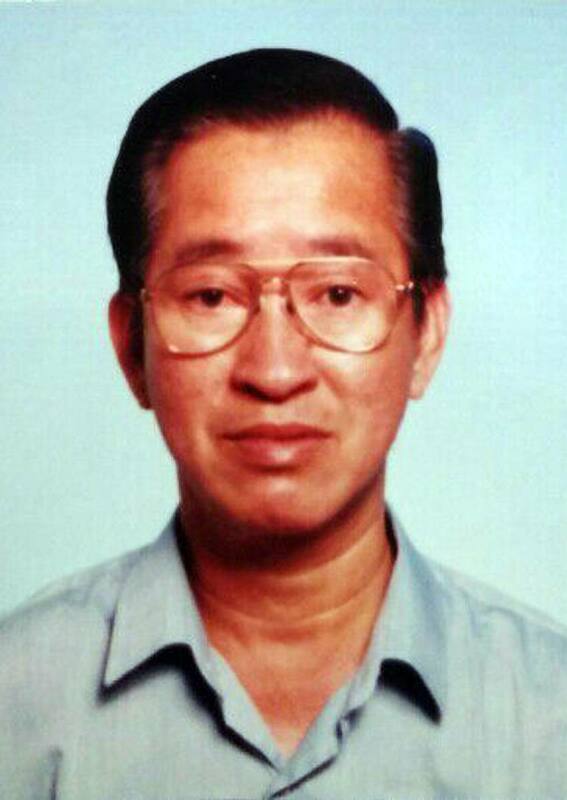 According to his son, the elder Mr Lim would have turned 78 on May 20. The lift in question is currently under repair. 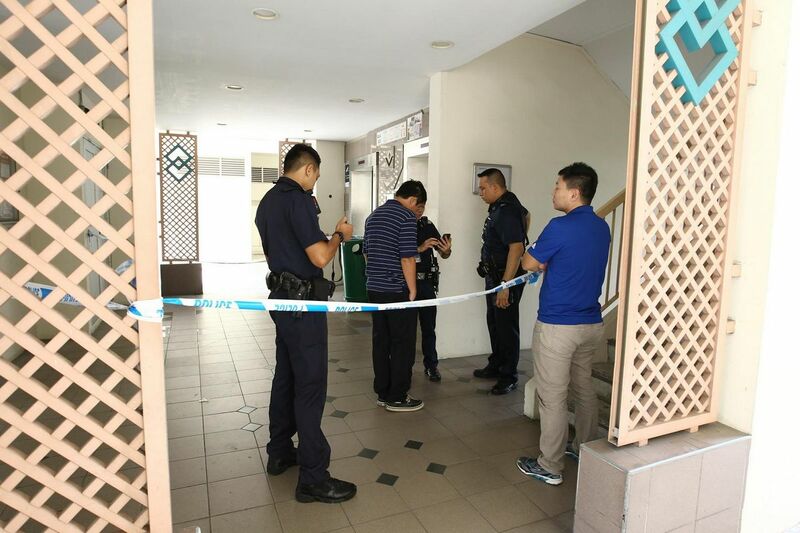 The Pasir Ris-Punggol Town Council said in a statement on Facebook that it had been notified of the incident early Sunday morning. 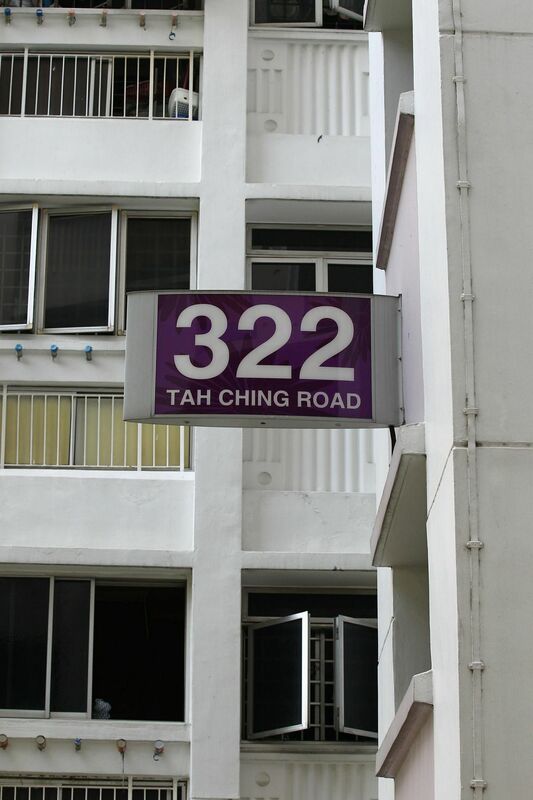 Last October, elderly woman lost her left arm after it was severed by the doors at Block 322, Tat Ching Road. 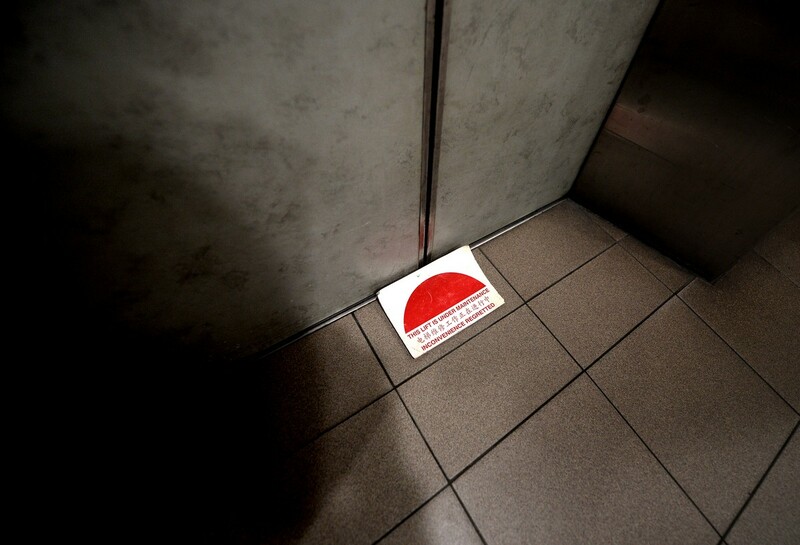 Investigations revealed that the lift doors had closed as the leash was too narrow to be detected. 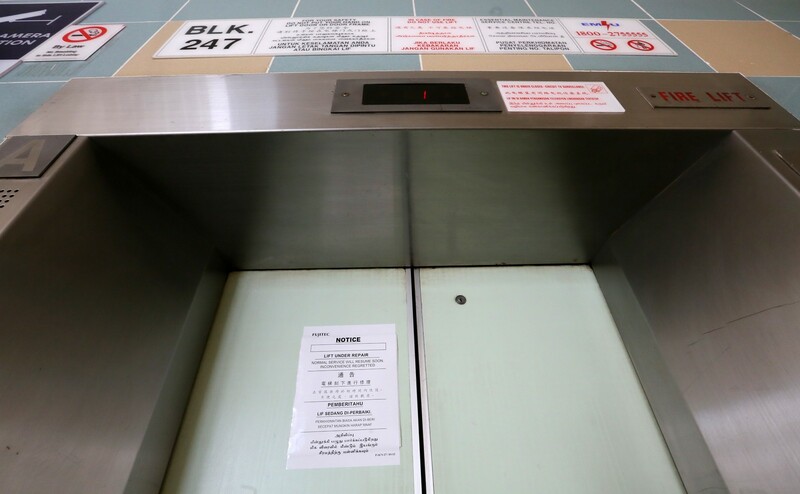 The probe into the Tah Ching Road lift accident will take a week longer than expected, as the authorised examiner investigating the case has been granted more time to carry out checks. 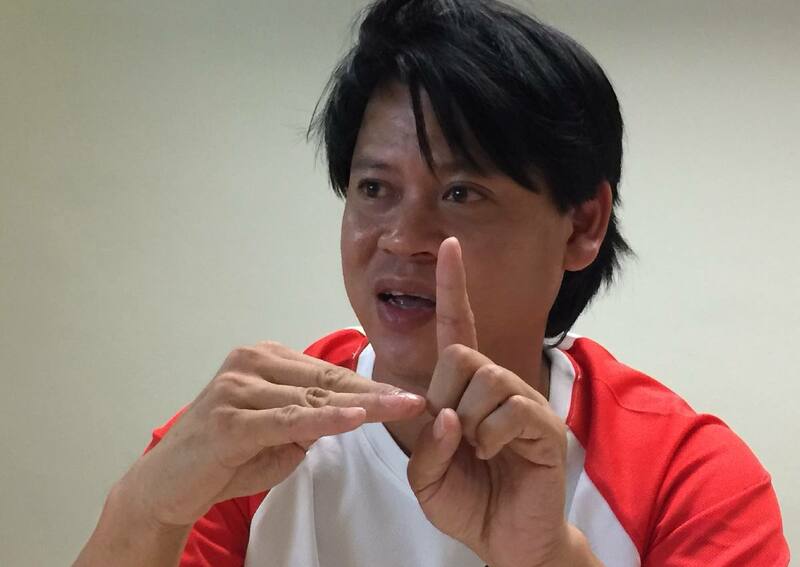 The Building and Construction Authority (BCA) yesterday said the examiner, Nexco Enterprise engineer Chan Chee Kong, had requested one more week to carry out "additional tests". BCA has acceded to this request, which means the report, originally due today, is expected to be submitted on Nov 2. 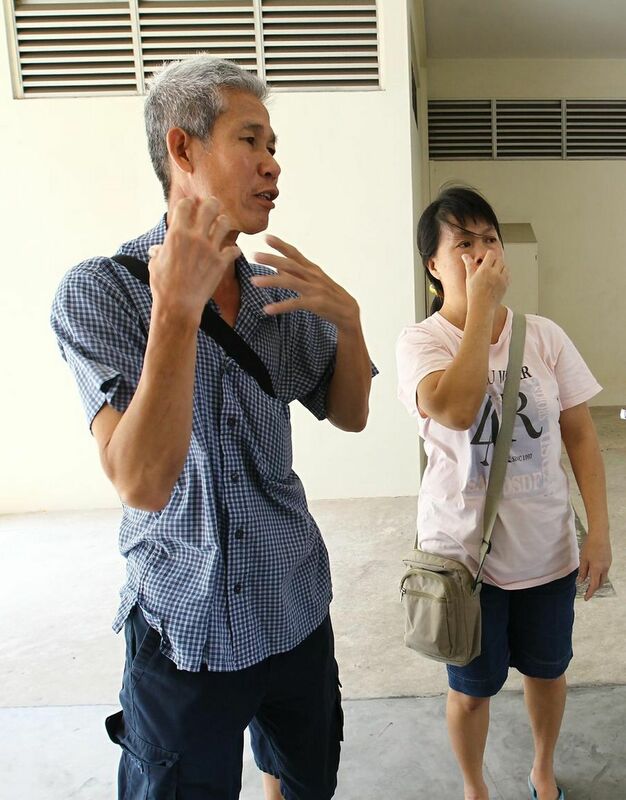 On Oct 9, Jurong resident Khoo Bee Hua's left hand was severed by a lift at her home in Block 322, Tah Ching Road in Jurong. 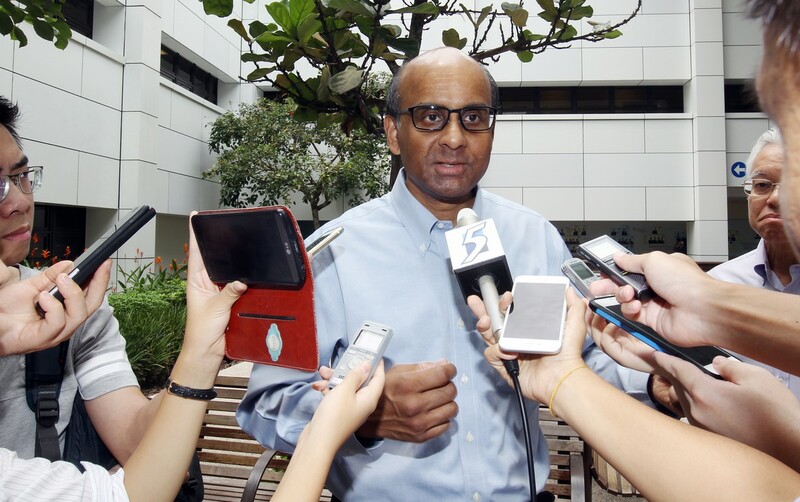 Deputy Prime Minister Tharman Shanmugaratnam, who is MP for Jurong GRC, had earlier said that the independent report investigating the cause of the lift accident would take at least two weeks to complete. 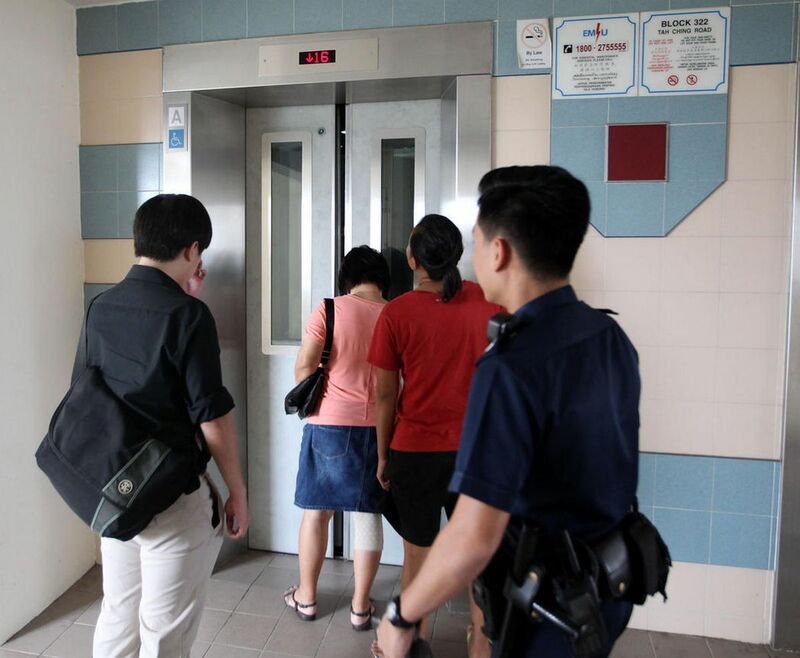 The elderly woman whose left hand was severed in a lift accident at Blk 332 Toh Ching Road on Friday morning may not be able to keep her hand. 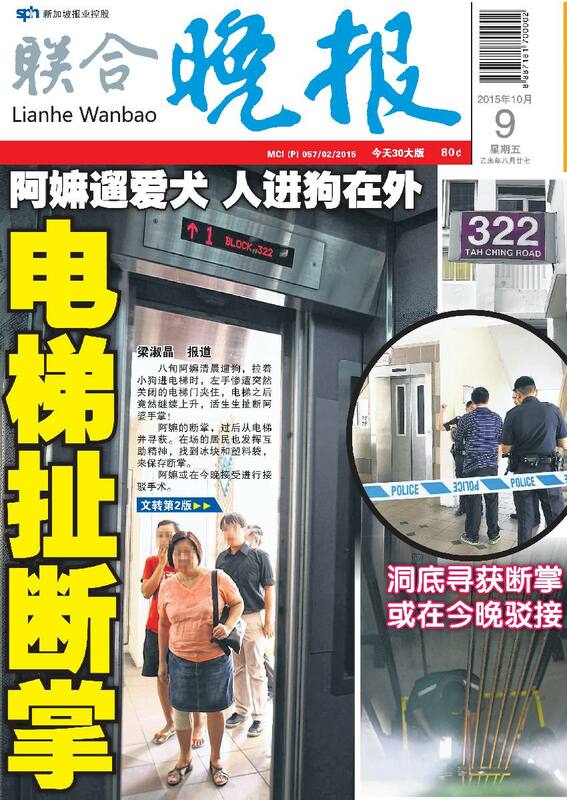 Doctors at the National University Hospital have said that they are observing her condition before deciding whether her severed hand can be reattached, Lianhe Wanbao reported. According to Shin Min Daily News, the woman in her 80s was returning home after walking her dog when the accident took place. 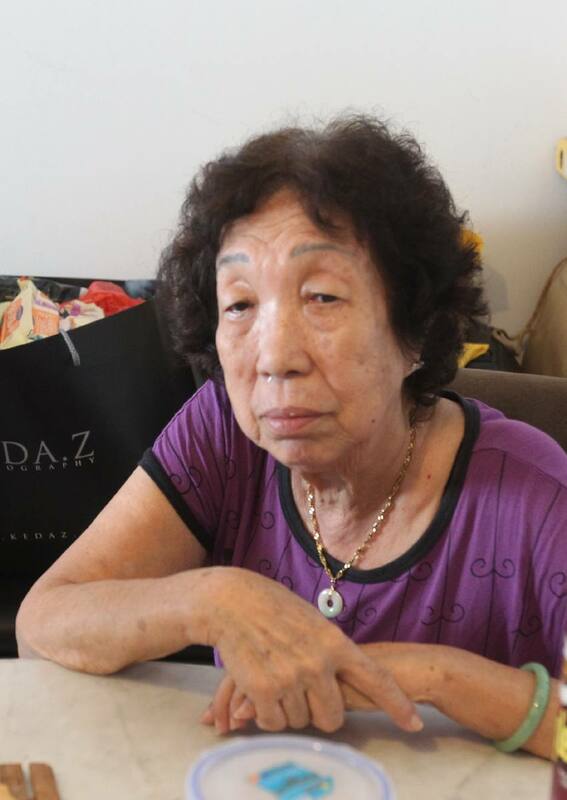 Her son, who identified himself as Mr Lee, told reporters that his mother was entering the lift when the doors suddenly closed. Her hand became trapped in between the doors while the dog was suspended in mid-air outside of the lift as she was holding onto its leash. 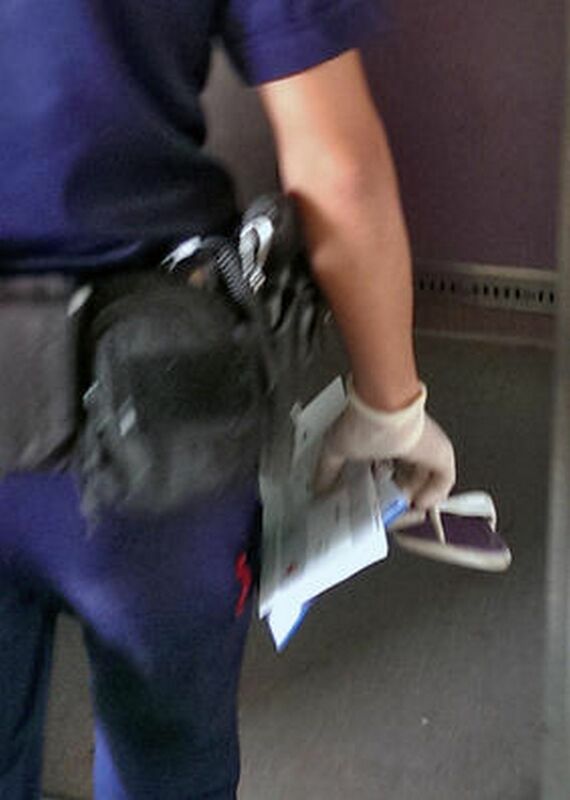 After SCDF officers freed the woman, she was sent to NUH for medical treatment and her dog was brought home. The woman's severed hand, which had fallen into the lift well, was later retrieved and placed into a bag with ice. 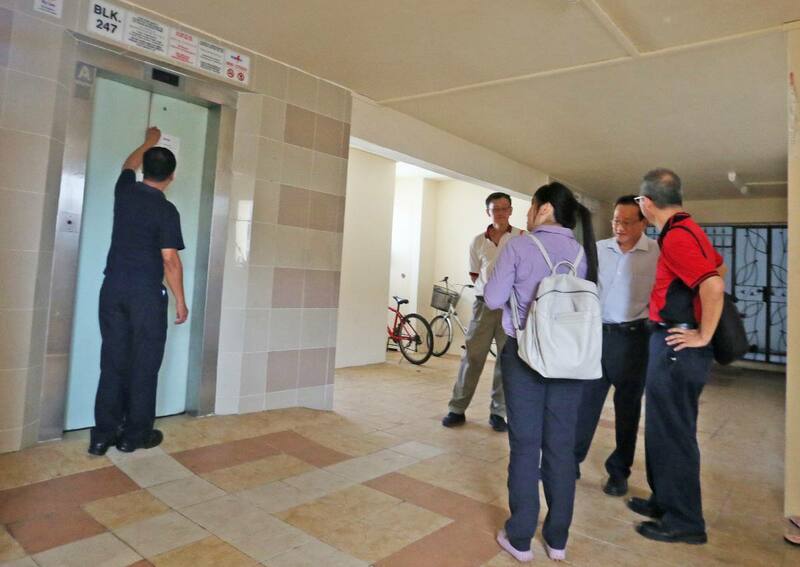 Meanwhile, residents at the block expressed concern over the lifts which they noticed had been malfunctioning recently. 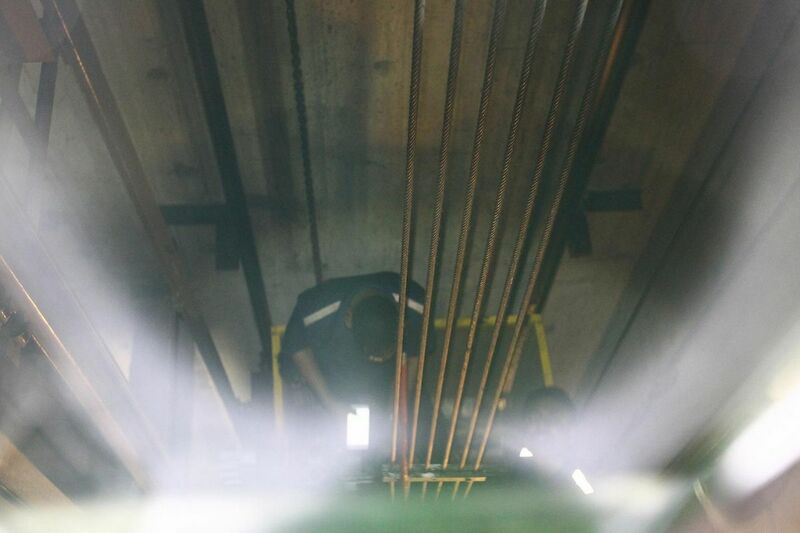 An investigation subsequently revealed that there had been nothing wrong with the lift in question, and that the accident had been caused by the leash which had been too narrow to be detected. 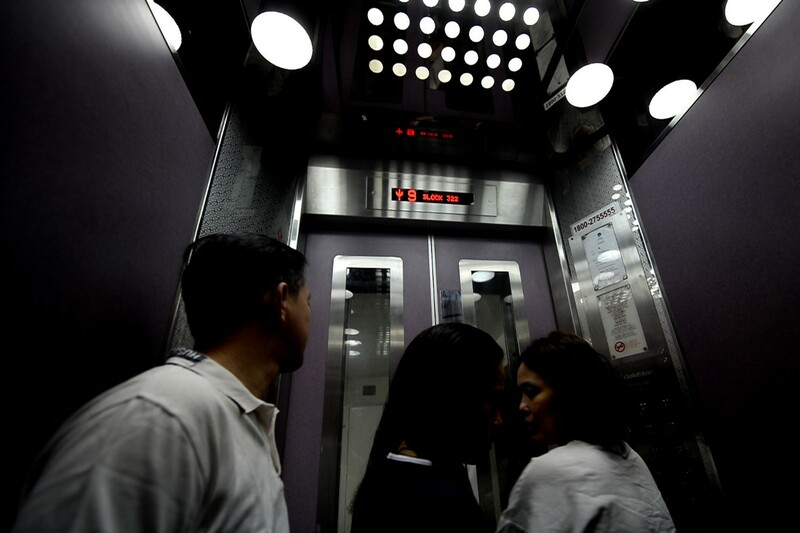 More recently, a domestic helper was trapped in a lift that shot up 17 floors on March 7 this year. 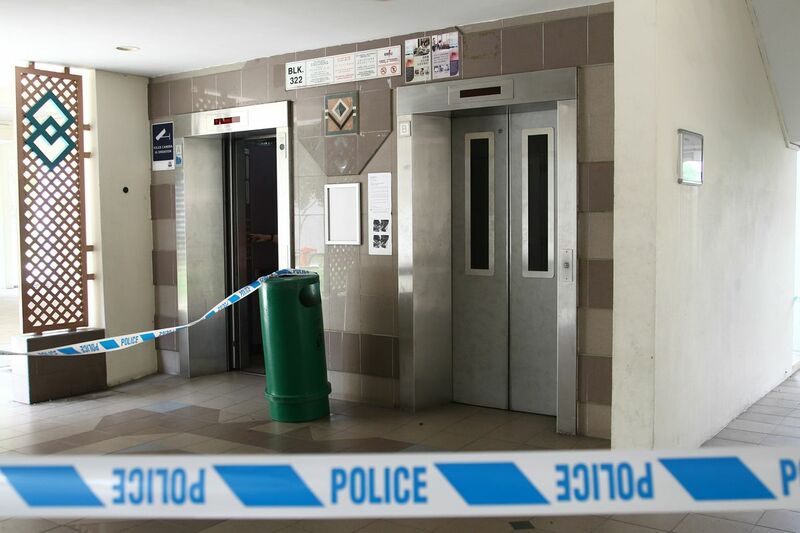 Ms Evi Lisnawati, 36, was rescued from the lift at Block 317, Ang Mo Kio Street 31 by Singapore Civil Defence Force an hour and a half later.